Just finished my custom marquee for MvC2, wanted to get a little feedback from some fresh sets of eyes to see what needs tweaking and just overall opinions! looks pretty good to me. what kind of cab is this going on? too crowded mang...you should redo it and have like 10 characters max. background looks good though. like the actual mvc2 title screen. That's the art I think of when it comes to that game, so I don't think it's too crowded at all. I was debating just leaving the logo and the background I made because like you said, it does remind me of the title screen also. This is going on a Dynamo showcase, looks like this! Yeah Like Gatsu and Ginsu said, the crowded vibe is kinda hand in hand with the game cause it's so crazy. I thought about using a few of the good characters from each, but there isn't even 10 good Capcom characters so it'd be lopsided. Do you guys have any preferred sites to get it printed from? Mamemarquees seems to be the only one I know! Check my sig! Brent, aka Emdkay, does excellent work! Thanks, just put in my order! Will post up some pics of it installed on the cab when it comes. Glad you went with Emdkay. Be sure to let us know what you think of the product, shipping, etc. Obviously you'll need to give him time to print it, but the end result looks great IMHO. So far they've been great working with me, and as an added bonus they operate 10 minutes from my house so hopefully I'll be able to pick up the finished product. Meanwhile I'm still having monitor issues but I'll update my other thread for that. I poop too much. . . I agree, it's perfect for the game! I can't wait to get the game on the PSN. It's too bad, there is no love for us PS3 owners who have to wait over two weeks to get the same game that the XBLA has this week. Oh well, I have enough to deal with right now, that I don't need the distractions. Besides, at least the PS3 had a decent D-pad, so that almost makes up for the delay. Mine was recently damaged in a fire, I need a high quality Marquee, Sideart, CPO, instruction sheet if anyone has or knows where to get it. I was thinking the same thing as SNAAKE at first but after seeing it on the cab I changed my mind. It looks great, nice work. Ooo, purdy. Any chance you still have the original file so I can x-copy and print one out for myself? I made an account just to marvel at this amazing marquee. I too would be eternally grateful if I could steal the original full size image for my own uses! 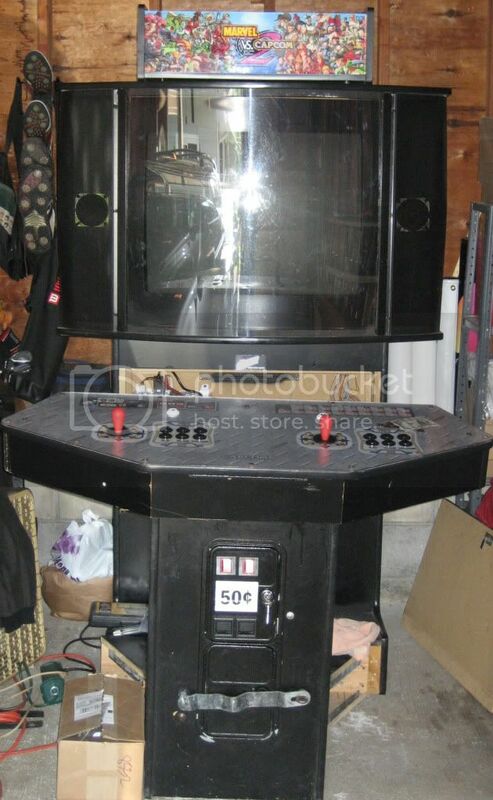 I'd LOVE a high-res version of that to go on my MVC2 cab build! Any chance of getting a copy? Awesome work. Would you be willing to send me a copy of the highest resolution you have of this marquee for a small donation? This thread started in 2009. The TC hasn't even logged in in almost three years. Page created in 0.24 seconds with 46 queries.